The name itself resonates the culinary souvenir of India. Earthen Oven in Goa is a delight for Indian food lovers which works on the concept of tandoori food cooked on charcoal in front of the guest. As much as the food is a culinary delight for the guests, the live kitchen is a visual delight for the countrymen and especially the foreigners. 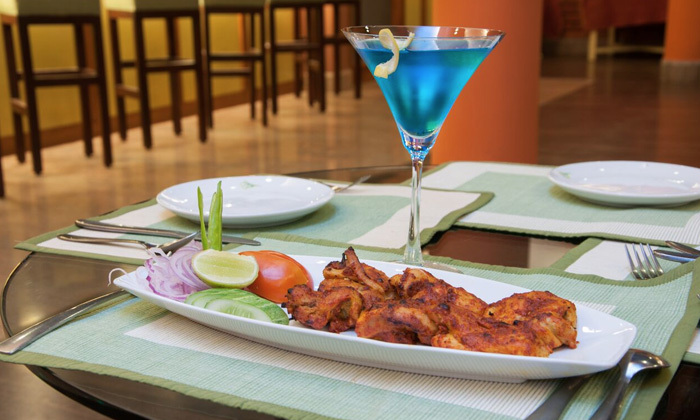 The technique of tandoori food is mastered & developed by the chefs of Earthen Oven and beautifully presented to the valued guest. The restaurant has a very unique Indianized feel to it with colorful furniture, lights around trees, low res furniture both indoor and outdoor. It also conducts various shows like dance, music and more to keep the guests entertained.